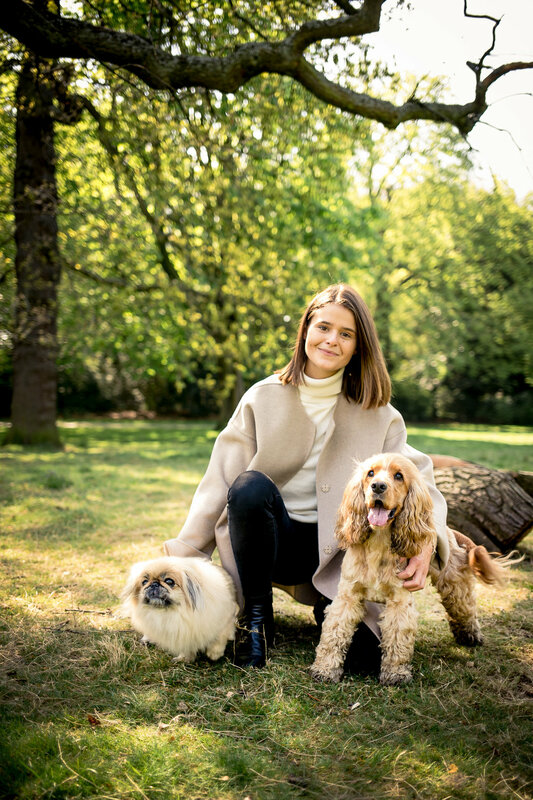 Your dog will typically be walked in Kensington Gardens, Holland Park or surrounding local parks with a pack of four or eight well socialised dogs, so there is plenty of opportunity for them to make friends! We offer three group walking sessions per day and the collection times for these are between 8:00 am - 9:00 am, 10:30 am - 11:30 am and 1:00 pm - 2:00 pm. Our group walks run for a minimum of one hour. A door - to - door collection and drop off service is included in our group walk fee. Want to follow your dogs walk remotely? Click here to find our more. Your dog will be collected between 8:00 am - 9:00 am and returned home between 3:00 pm - 4:00 pm. They will enjoy taking part in two of our three group walks for the day which are run from Kensington Gardens, Holland Park or other surrounding local parks. He or she will be treated to a cushy break between walks at our HQ in Earls Court where plenty of rest, treats, water and affection are provided by one of our doting staff members. We welcome dog parents to provide a packed lunch for their dog if they wish, although this is optional. A door - to - door collection and drop off service is included in our day care fee. To find out more about how to follow your pup remotely whilst he or she attends day care click here! We offer a boutique boarding service available exclusively to our existing walking and day care clients. When your dog boards with Man's Best Friend Kensington and Chelsea, he or she will become part of the family - our pet! They will attend our group walks by day and enjoy a comfy lap to crash on of an evening. Our boarding fee overs a 24 hour period and the service is subject to availability. A door - to - door collection and drop off service is included in our boarding fee. Rest easy whilst you are away - follow your dogs stay online - click here to find out more.